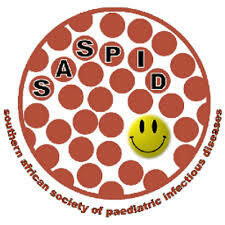 Institut Merieux awards call for application Call for applications to SASPID members SASPID in partnership with Institut Merieux will award the sum of €10 000 to a young investigator undertaking research in one of the following areas: • Antimicrobial resistance (excluding HIV, TB, malaria) • Healthcare-associated infections • Sepsis (including neonatal sepsis) Purpose of award The award will acknowledge excellence in research among young clinician-scientists within the FIDSSA membership and aims to stimulate further work in clinical science and research. Eligibility criteria • Applicants for the award should be born on or after 1 January 1979. • The applicant should be involved in or have made a significant contribution to research and /or patient management with an impact in the areas listed above. Indicators of impact may include publication(s) in prominent international journals and/or implementation of guidelines/ protocols having led to significant improvements. • Applicants must have a valid FIDSSA membership. • Members of the SASPID Executive Committee or FIDSSA Council are not eligible to apply. • All documentation should be submitted electronically via email to the FIDSSA secretariat. Applications for the award should reach Ms Lea Lourens at FIDSSA on or before 26 July 2019: email to info@fidssa.co.za APPLICATION DOCUMENTS One PDF file (ApplicantSurname.pdf, max. 4MB) including documents in the following order: 1) Curriculum vitae (maximum 3-4 pages) and ID document indicating proof of the applicant’s age; 2) Complete list of publications, in which up to two publications over the last three years should be highlighted (in bold) to exemplify the nominee’s excellent work; 3) Description of the candidate, her/his career, her/his research interests and personal contributions to the various research projects she or he has been participating in (one page); 4) A letter of recommendation from a host institution/supervisor where the nominee is working at the time of the application.